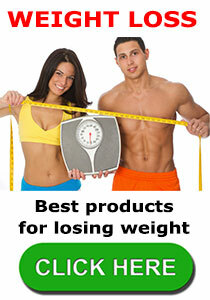 Doctor’s Select Weight Loss 4 is a diet pill produced in America by Windmill Health Products LLC. The company manufactures a number of other health and wellness products, most of which can be found on the shelves of many American stores. In America, Windmill Health Products is a household name, but Doctor’s Select Weight Loss 4 does not appear to be one of the cpmpany’s better offerings. There were originally three products marketed under the name Doctor’s Select Weight Loss 4. The only difference was the colour of the box. Thankfully the confusion is over. Windmill Health Products appear to have picked one formulation and scrapped the rest. They’ve also opted to cut their packaging costs by saying goodbye to the box. So instead of a red box, a blue box, and a green box, there is now only a red and white pot. If the product can help with calorie burning it may help create an energy shortage that forces the body to start burning fat. If the promise of appetite suppression holds true, users will find it easier to stick to a calorie controlled diet and this will also help create the energy shortage needed to trigger the burning of fat. Fat binding products can further lower the calorie intake by blocking the absorption of dietary fats (contains 9 calories per gram). Recommended Dose – One tablet is needed, up to three times per day, and doses should always be taken with a meal. Green tea is always a good ingredient and the powdered version (matcha) boasts added potency, but the proven fat burning ability of green tea is the only thing this formulation has going for it. 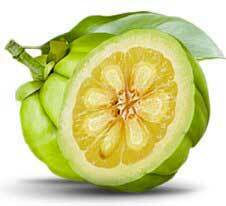 Garcinia cambogia is a fruit. Extracts taken from its rind provide a fat fighting chemical called hydroxycitric acid (HCA). The best garcinia cambogia extracts are at least 60% HCA and have the ability to assist weight loss by subduing hunger pangs and limiting the body’s ability to store fat. Garcinia cambogia extracts that contain a lesser potency of HCA are unlikely to offer much benefit at all. The HCA content of the extract used in Doctor’s Select Weight Loss 4 has not been disclosed. 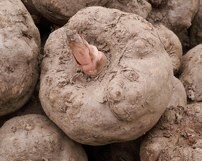 Glucomannan is one of the best appetite suppressants available and its ability to kill hunger has been evaluated and upheld by the European Food Safety Authority (EFSA). However, the EFSA are very specific about the need for 3×1000mg doses per day. People using Doctor’s Select Weight Loss 4 only get 200mg per day. That’s a far cry from the 3000mg recommendation, so glucomannan serves no purpose here. Probiotics provide bacteria that’s alleged to offer health benefits, including weight loss, but experts admit further study is needed and some probiotics have been linked to mild side effects, such as digestive disorders and flatulence. However, probiotics may also have the potential to cause dangerous infections, although people who have underlying medical problems appear to be the most at risk. Customer reviews suggest use of the formulation may cause some people to experience stomach pains and nausea. This is probably due to the presence of probiotics. Some forms are known to be more troublesome than others so we suggest all potential users take the precaution of getting a doctor’s advice before using this product. Although the present formulation of ingredients used in Doctor’s Select Weight Loss 4 may offer dieters some level of support, it’s somewhat of a disappointing product and any benefits that are provided will most likely be attributable to green tea. Garcinia cambogia is a good ingredient, but the HCA content is questionable; and the amount of glucomannan provided is definitely inadequate. The simple truth is, customer reviews suggest this product only offers limited benefit at best. Side effects also appear to be an issue and the product is sold without a guarantee. If you are serious about losing weight and want to do so without experiencing side effects there are better ways to do it and we suggest you choose another product instead. 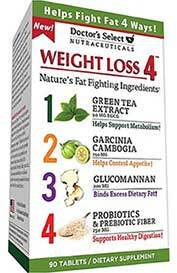 Doctor’s Select Weight Loss 4 is not a particularly easy product to get hold of because Windmill Health Products appears to be more interested in selling to customers living in the USA. If you live close to the border this may not be a problem because you should be able to visit a pharmacy or other store that stocks the company’s products. Otherwise the best option is to find an online supplier who offers cheap shipping rates to Canada. The price per pot is usually around USD$ 15 (CAN$ 19). That’s not expensive, but there isn’t a money back guarantee. This entry was posted in Appetite Suppressants and tagged Weight Loss 4 Canada by admin. Bookmark the permalink.